Today's Beyond the Basics is going to be a little different. As you continue to play Magic and working to improve, there are several things that you'll find yourself wanting to learn. Proper combat strategy. When to counter spells. How to mulligan. These are all things to work on that I have and will continue to cover. But there's something else that happens as you go deeper and deeper into Magic. People start to ask you a question. A question that requires a very different set of skills than you need to win your local tournament. A question that can strike both fear and excitement into your heart. "Can you teach me how to play Magic?" We all love Magic. It's the greatest game in the world. And yet, being a great player doesn't necessarily give you the tools you need to be a great teacher. Sometimes, too, it goes the other way. Instead of someone asking you to teach them, you desperately want to teach them how to play Magic—but you know you want to do it right. After all, first impressions are important. You're going to encounter this time and time again in your Magic-playing life. So today, I want to talk about how you can teach somebody else how to play Magic. I've taught hundreds of people how to play the game we know and love. 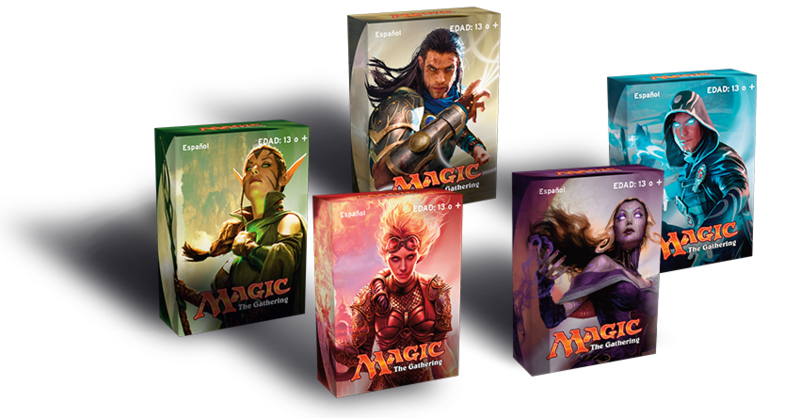 At Wizards, we're constantly working on figuring out what the best way to teach is. And there are definitely a few elements that can make a huge difference. One key piece of the puzzle is what decks you use to teach somebody the game. However, you're going to have a much easier time if you start with the basic concepts and work your way in than if you start with two fully formed Modern decks. Now, I know what you're thinking. "Here comes the sales pitch where Gavin tells me what I'm supposed to buy to make teaching so easy a monkey could do it." And while it is true that I could say to go buy some Planeswalker Decks, which are relatively inexpensive and give you a solid starting point (. . . oops), the number-one thing I always recommend doing is going to your local game store and asking for some free Welcome Decks. Yes, that's right; they're free. These are decks that we spend a lot of time working on and refining to create the best brand-new-to-Magic experience possible. And we just hand them out for free, like candy on Halloween. If you ask your local store for them, they should have some available. But what if you don't want to leave your own home for this? After all, a lot of instances when this happens are when you have some friends over, they ask you how to play, and you need to produce something in the next 10 minutes or so. Well, for me personally, I always try and keep a couple teaching decks built up. Usually, these are just Draft decks I took and modified a little bit. But if you need to build something on the fly, you can usually just grab a stack of recent commons, take about sixteen cards of one color, grab fourteen lands of the matching basic land type, shuffle them together, and have something that works for teaching. Use one- or two-color decks. Keep things simple and approachable off the bat, without worrying about color problems. Skew high on lands. You want to make sure your friend can do things in their first game, and it's more fun to be a little mana flooded than mana screwed. The fewer card types you include, the less your friend needs to remember (and you need to teach!) as they are learning the basics. Lands, creatures, sorceries, and instants are what I generally like to teach with at the outset, though if you want to mix in some artifacts or enchantments that can be okay too. I'd try to stick primarily to creatures. I would try and keep the cards low on complexity where possible. Vanilla creatures are great here, as are simple combat tricks and removal spells. Cards with unique keyword mechanics from a block are just another thing people have to learn while they're trying to figure out the game as-is. While it might sound simple for you, to someone else this is all brand new. Include mostly cheap-to-cast cards, so things in the game can get moving. With that said, not to get too nuanced, but having a couple big splashy cards are important to both grab attention at how awesome those cards are and to help make sure the game has a good way to end. Those are just a few of the key things to think about when building decks for this purpose. At the end of the day, if the only option you have is grabbing decks from your shelf, I'd just look for the ones that you think are as easy to approach as possible. Creature-focused decks are good starts for this. While Duel Decks are more complex than I would prefer to start people with, if you have any lying around those can be a fine alternative to format-specific decks you've built. Have some decks? Great! No matter what method it took to get here, you're ready to go. I call this "step 0" because this is something you should be thinking about just before you begin teaching. Every person is different. And if you're teaching someone, it's probably because you know them. While what I'm about to describe is the best teaching method I've found and what we at Wizards generally believe is one of the better ways to teach, you are probably going to have a good idea of what the person you're teaching wants more than I do. Maybe you know that they really prefer a certain teaching style, for example. Go ahead and try it that way! Another thing we have found is that it's a really powerful teaching tool if you can take people's existing knowledge and plug it into learning Magic. For example, if the person you're teaching has played a lot of other games, feel free to describe elements of Magic with terminology from the shared language they already understand. And finally, get them excited about Magic in the ways you think they'll enjoy. 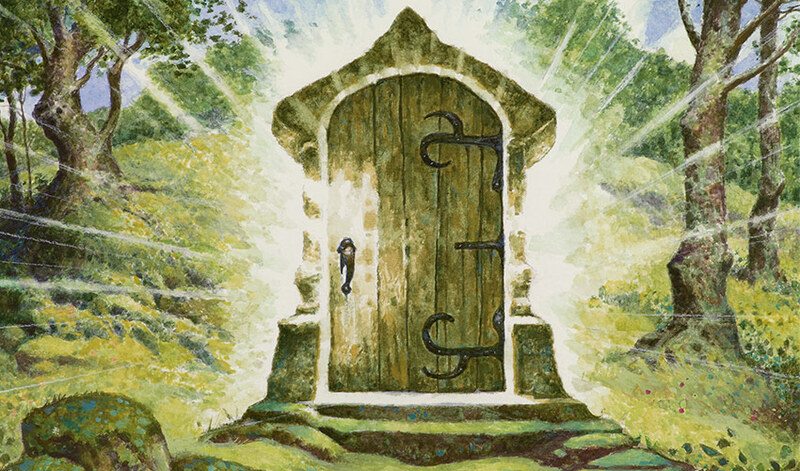 I think Magic is the greatest game of all time, and so I always lead off with what I like about Magic and how the other person might enjoy it for reasons tied to what I know about them. Magic is really a bunch of different games all inside one game, and there's truly something for everybody. Okay. Enough of this "step 0" stuff. Let's move into the actual steps for teaching! When I teach someone how to play any game, the first thing I want to tell them is what the goal is. Everything you do in a game is framed around the goal. For example, in a game of basketball, once I tell you that you want to have the most points at the end of the game, everything else can be built around how you get those points. So in Magic, I always open by letting the person I'm teaching know that we both start at 20 life points. Something along the lines of: "We both start at 20 life. Your goal is to get your opponent down to 0 before your opponent gets you down to 0. If you get them down to 0 first, you win! You'll be using a mix of creatures and spells to accomplish that goal." Okay. The goal is set! Now it's time to explain how to do things. If you can communicate these basic concepts, then you're already making great progress. I know this feels a bit like baby steps—and in a way it is. But presenting information in quick chunks like this goes a long way toward helping a new player learn. At this point, I would very quickly tell the person I'm teaching about what the card types they are most likely to see are, other than lands. Namely, creatures and instant/sorcery spells. I would recommend highlighting the difference between the two: creatures stay in play and continue to be used. Instants and sorceries are played, you do what they say, and then they go away. I would not get into how combat works, how certain spells work, or anything else at this stage. You really, really want to be careful to not overcomplicate things. It's very easy as an experienced player to want to talk about everything, but resist that urge and move on with me to the next section. Step 4: Shuffle up, draw, and begin! Wait, what—before you explain anything else, you should have people draw their hands and start?! The most fun part of a game is playing the game, not learning the rules. I don't know about you, but if people start explaining rules to me for more than 5 minutes, I'm already out of it. It's a lot more enjoyable to get into the action and explain how some basic things work as you encounter them. You don't need to know how combat works to start playing. Just getting a creature into play is enough, and then you can teach the next steps from there. It may seem counterintuitive, but years of our research on this shows that getting people into playing is a lot better than trying to explain everything at the outset in most cases. Now, there may be some people for whom this isn't true—and that's where step 0 of knowing your audience really comes into the picture. But in most cases, I would recommend this direction. When I teach, personally, I tend to play the first game with both players' hands face up. I do this so that I can help see what people can do and to make sure they're on the right track and so we can talk about things using the examples in their hand. But the important thing is just that the player you're teaching gets to do things, so just asking them questions as they begin ("Does your hand have both lands and creatures?" "Okay, it's turn two—do you have a creature to play?") also works fine. Playing with hands face up just shortcuts a lot of that questioning. You don't need to explain every detail of every turn. Simply, "Draw a card. Play a land. Can you play something else? If not, pass back to my turn" works just fine. That should get you through the first few turns until you get into . . .
As soon as someone has a creature untapped and it has come back around to their turn, it's time to explain combat! I would start by having the player with an active creature tap it to attack, and explaining that creatures tap to attack. Explain that if it is unblocked by the other player, that player will take damage and lose life equal to its power. If the defending player has no creatures in play, I wouldn't explain how blocking works yet; just mention that if they had creatures they could have blocked, and then subtract the damage from their life total, explaining how damage works. If the defending player does have creatures, I'd get into how blocking works. Explain how the defending player can choose to block, that tapped creatures can't block, how creatures deal damage to one another, and that damage goes away at the end of the turn. A very, very common misconception by brand-new players is that you attack other creatures rather than attacking a player and letting them choose to block. I would make this very explicit when teaching. If the creature has an ability that affects combat, point out what it does. If there is a creature attacking into a player with another creature, I'd run through all the scenarios so that you can explain different potential outcomes and better illustrate how combat works. And finally, if it is a bad attack, don't force the other player to make it—just explain what would happen. It can lead people down the wrong path to see their 2/2 attack into your 2/3 for no reason. Once a player has the gist of playing lands, casting cards, tapping their cards, and untapping, a lot of the fundamentals are in place! There's no telling what might happen from here, but if you explain elements as they come up, that should help guide the rest of the game toward its conclusion. While perhaps no non-permanent spells have been encountered yet, since you explained earlier that you play instants and sorceries and they go away after doing whatever the spells say, hopefully whatever basic spells you have access to should be easy to understand when they do come up. If you're playing with hands face up, note when it is an opportune time to cast them. There are plenty of other things to explain: combat keywords, activated abilities, any enchantments or artifacts or planeswalkers, and so on. But by explaining them in manageable chunks as they come up and are played, you should be able to slowly unfold the wondrous tapestry of the game that is Magic. After the first game of teaching, I often like to offer to play again, this time offering to let them play on their own except for when they feel the need to ask questions. It's important to give your friend autonomy to play as he or she chooses, since for many people doing is learning. You don't need to explain everything. This one is at the top, so you know it's important. As I mentioned earlier, getting people into playing is the most crucial part of this. Magic has tons and tons of things to discover and learn—and you don't need to explain right away that colorless mana is secretly its own color that can be used to cast Eldrazi from Oath of the Gatewatch. If it's not going to be relevant to the decks in this game, I wouldn't explain it until after you've finished. It's important to give autonomy. It can be tempting to "take over" for a player and tell them exactly what to do. And while you should be guiding them, reminding them to play lands and draw cards, let their decisions be their own. It can be a lot more fun to do what you want to do and lose than to have somebody play your entire game for you and win. Responding is great, but can be complicated. Learning how to respond to spells is an important and enjoyable part of Magic. With that said, I wouldn't open with how the stack works right away. Let each player get the gist of how spells work first and then bring this part up. Explain details as they ask questions. If they ask how something works or if certain kinds of things exist in the game, that's a great chance to segue into talking about some deeper part of the game or its rules. It's great to give people a taste of the wide and vast world Magic offers. Have fun! Remember: your goal here is to teach somebody Magic, not smash them into oblivion. (Well, presumably anyway.) Letting them take back plays that don't work out, or redrawing seven cards if they don't draw any lands, can help them get used to swimming in the game before they need to dive into the deep end. One of the most rewarding feelings I get is when I teach somebody new to play Magic, and I see the spark of excitement light up their face. And for all the tournaments I've played in, for all of the matches I've won and lost—nothing is quite the same as that feeling of introducing a new player into this wonderful game we're so passionate about. Hopefully you're now well equipped with the skills to go out there and teach some of those around you. Have any questions, thoughts, or comments? I'd love to hear from you! You can always reach me on Twitter, Tumblr, or by sending me an e-mail (in English, please) at BeyondBasicsMagic@gmail.com. I'll be back next week with another Beyond the Basics. Talk with you again then!